Are you striving for flawlessness and setting excessively high performance standards? Are you accompanied by overly critical self-evaluations and concerns regarding others’ evaluations? If your answer is ‘yes’, then you are a perfectionist and as your life experience suggests, it might be quite stressful to strive for the best. Mistakes are the most repulsive obstacle towards your goal. 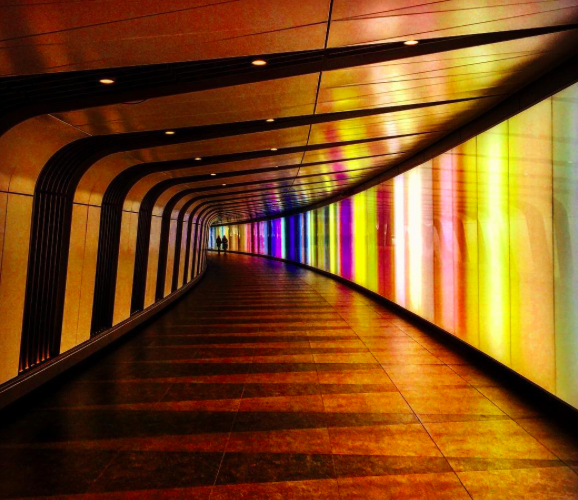 However, it is good to question ‘ what is your goal and are your standards realistically – set? How will it adapt towards the external factors and environment? Being realistic might protect you from making mistakes, getting ‘back to the ground’ and see the picture without ‘through rose-colored glasses’. Loosening up your standards a bit to ease the stress and anxiety may feel you from trying so hard to be perfect. 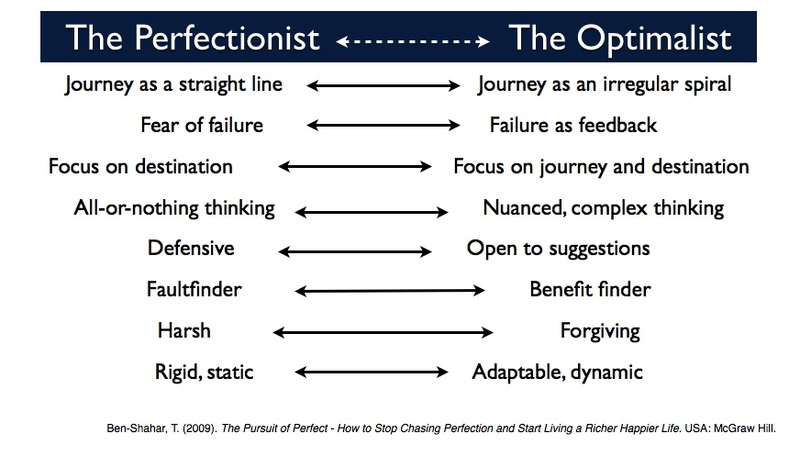 This leads Farley to conclude that it is better to steer away from perfection. This can be challenging to achieve, not least because literature on trading provides no end of information that includes excellently organised charts and perfect balance sheets that lead to amazingly profitable positions. However, it is worth being aware that the authors of these books deliberately seek out these types of examples, which can be seductive for traders. Traders then think it is possible to find similar chances as they grow their skills and experience. But the fact of the matter is that profitability means that traders need to work with price action that is invariably different from the ideal, often deviating quite considerably. This can create conflict which leads to difficult decision for traders regarding risk taking. As suggested by Arl Kiev, in his book ‘ Trade to Win: The psychology of mastering the Markets’, personality of a trader plays a major role as it affects the way they deal with their losses. 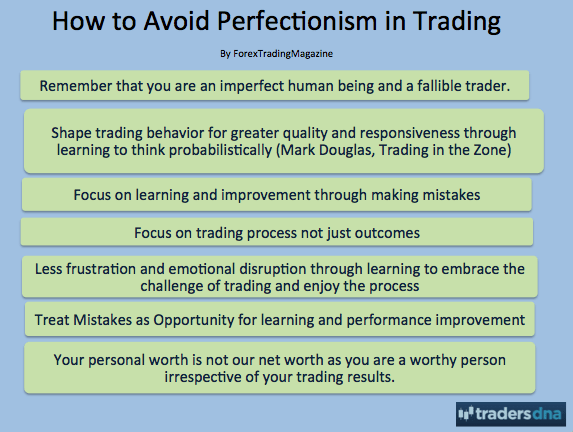 Perfectionist – traders, if failed, are always looking for ways to improve without realizing how to work smarter, rather than work harder, and how to empower others to help. Their high-set standards often keep them from succeeding as they are reluctant to get bigger unless they have more precise information. It is explained that some traders use a back testing approach to find perfect indicator settings and holding periods. Meanwhile technical traders plough through many hundreds of charts to try to find the perfect patterns. Back testing can be very powerful in some ways, but the argument can be made that it has been damaged through over-optimisation. This occurs when traders look for perfect inputs that are not realistic in the real world. Optimisation is argued to be particularly effective if the process ends when back testing finds parameters that match a certain security. However, it is explained that simply looking at the data may be better at that sage because it takes a narrower focus. Below is a mind-map suggesting a trader some steps to improve the behavioural trading through controlling his personality, mind and thoughts while in the process of trading. Noise can be a distraction in trading. 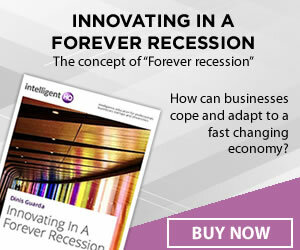 It is explained that traders face two different options when working in the modern environment that is full of noise. One of the options is to simply get rid of all candidates that seem highly questionable from the watch list, instead focusing only on what is perfect and what meets the criteria found in popular trading textbooks. The other option is to assess market noise and consider it as part of the trading preparation. It is argued that doing this requires itemisation and systematisation. Market noise is comprised of various different factors that lead to imperfections. These include stop gunning, illiquidity, short squeezes, momentum ignition spikes, shock events, emotional peaks and valleys and also the tendency for security prices to “trend in rising and falling channels as opposed to thin lines.” This type of pricing activity grew significantly around the start of the new millennium. It is helpful to categorise market noise, and this is a particularly good approach to avoiding the perfection trap. This is because such an approach specifically looks at why deviations are happening, and this helps to see how long these might carry on for. It is also helpful in understanding which noise types will improve the trade, as some will. An example that can be seen of this is when a highly emotional market occurs. Such a market can create a high level of market noise. This can eat through support and resistance and look for equilibrium in volatile price springs. Price action as a result can lead to particularly positive entries that would not have been even considered using the perfectionist approach from the classic trading literature. Overall, while traders often look for perfect signals in the market before they are willing to make a trade, the reality is that markets in this day and age do not follow the perfect price action that is explained in technical books and popular books about trading. It is therefore better to look for elements that contribute to high noise levels. In doing this it is possible to analyse and assess the impact of these high noise levels on an ideal set up, pattern or balance sheet. Traders should take note of these suggestions which could help them to achieve greater success with their activities.